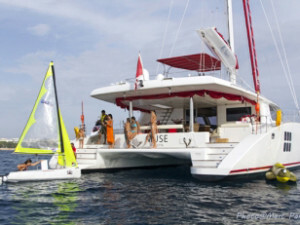 Fun loving Catamaran Muse is a perfect for your family summer cruise in the Mediterranean. 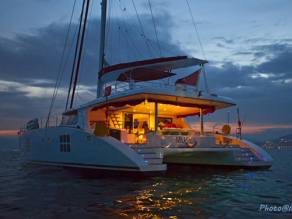 Catamaran Muse accommodates ten adults and two children in five cabins. 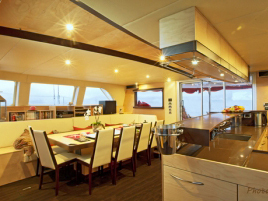 The cabin configuration is as follows: 1 double: 1 double + 1 single for 2 children (bunk beds), 2 double convertible in twin, 1 double with pullman for a baby.